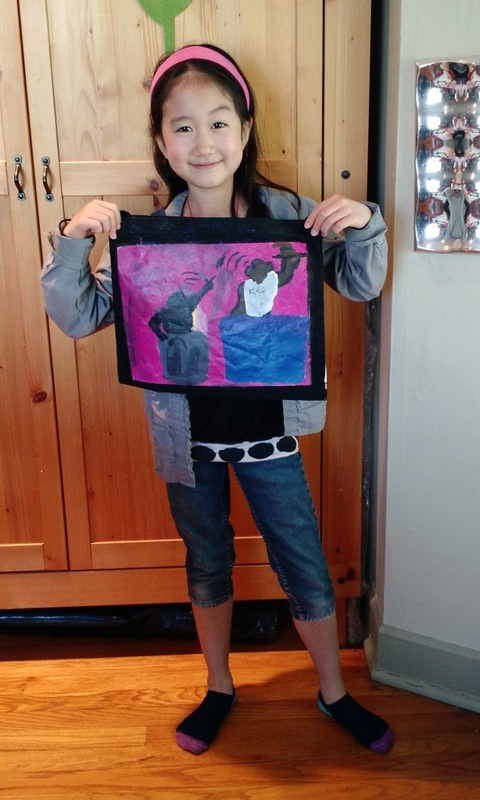 For this project we learned about Keith Haring, a modern artist whose energetic, graffiti-like imagery utilizes symbols, bold black outlines and simple blocks of color to represent human relationships. 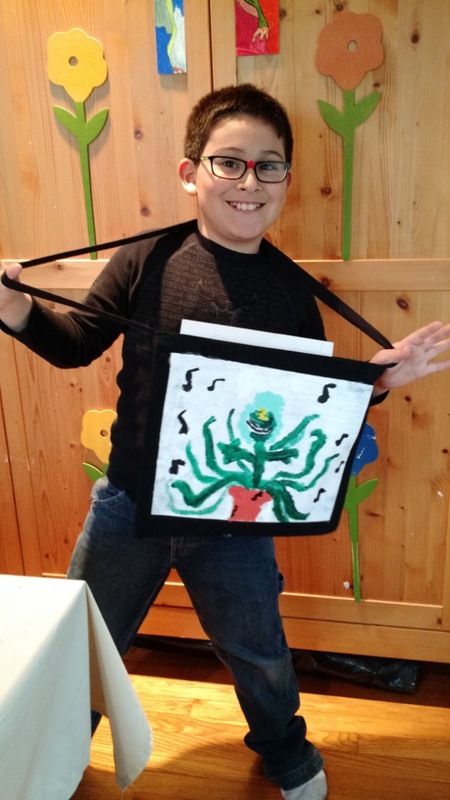 First students practiced sketching figures in the style of Keith Haring. 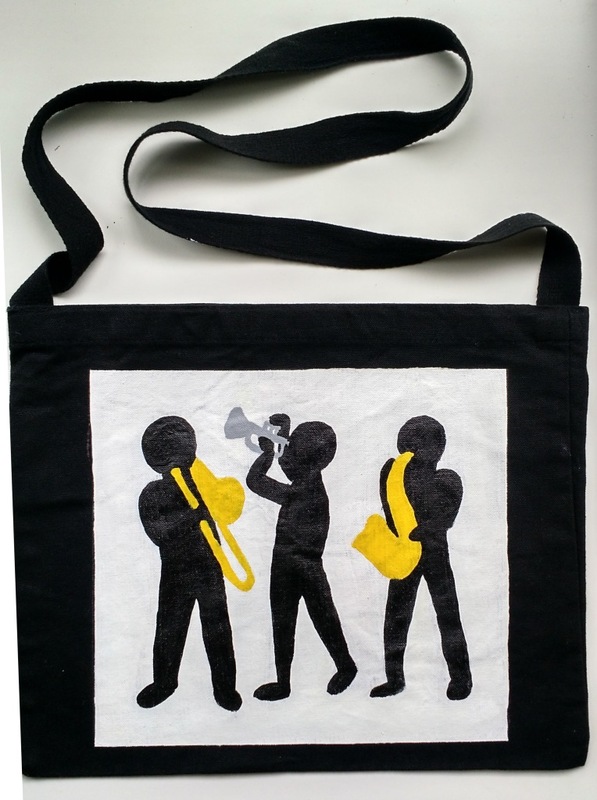 Then thumbnail sketches of their own designs were made in the shape of a tote bag, which would be the final painting surface. 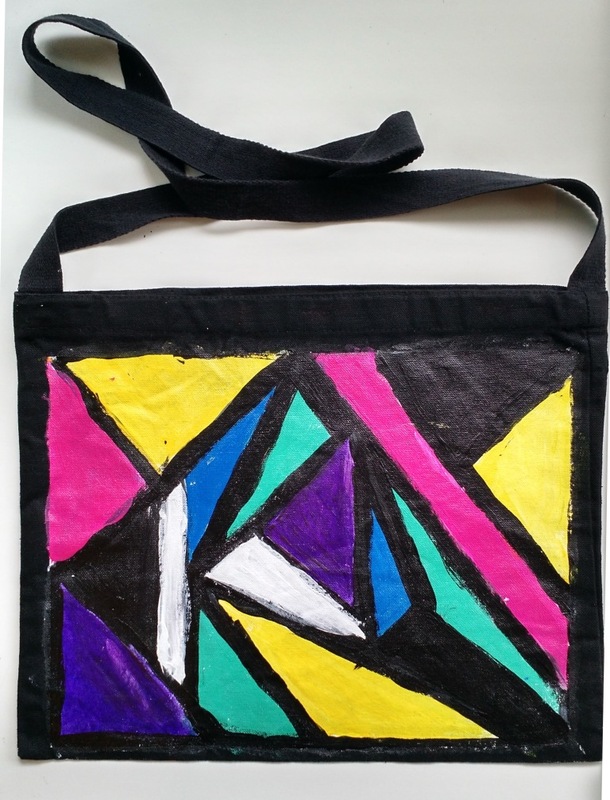 Next, we prepped the black canvas tote bags with white fabric paint, then drew the sketches on the dried paint. Final images were painted with acrylic, creating wearable modern art! See photos above for the process and me with my tote bag reflected in the "bean" at Millennium Park in Chicago. 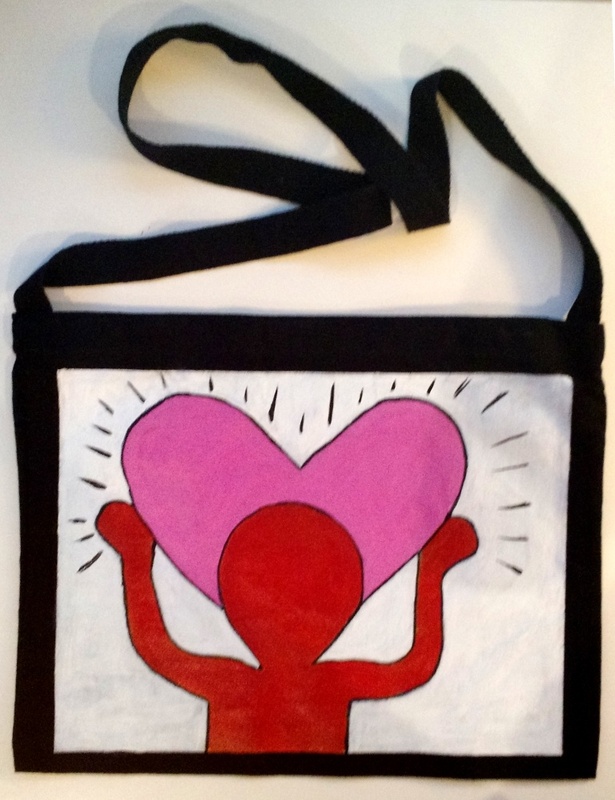 Scroll down to see artists and their fabulous bags. Enjoy!